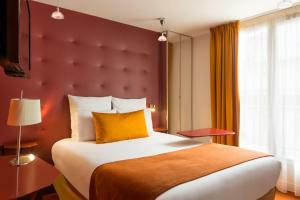 Located in the centre of Paris, Hôtel Mercure Paris Opéra Lafayette is within walking distance of the major boulevards and the Opera district. Free WiFi access is provided. 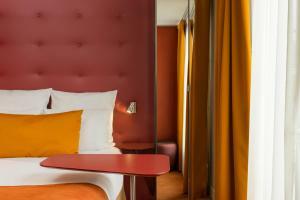 All rooms feature a flat-screen TV and a telephone. The private bathroom is fitted with a shower. 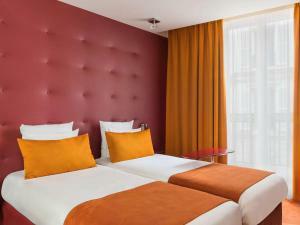 Featuring warm, modern décor, this hotel offers guests high quality service. A flat-screen TV, a telephone and free Wi-Fi access are provided in this en suite room. 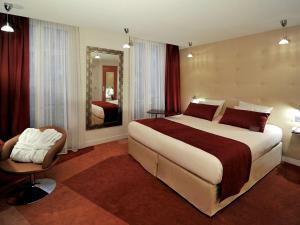 This double room has a seating area and flat-screen TV. Rate: € 81.00 ... € 310.00; select dates below to get current rates. This twin room has a balcony and seating area.